Balance the diet with a good variety of meats, meaty bones, offal, organ meat and veg/fruit. If you don’t want to add your own fruit & veg, you can just choose from our Complete Dog Food range, which has the right balance included. 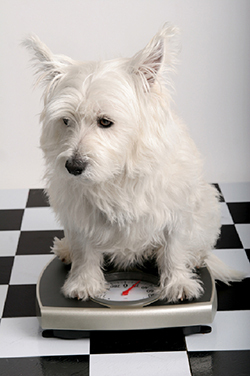 It is important not to over feed your dog and if you follow the adult dog feeding guide above, you should find that your dogs weight stays fairly constant. Eggs (whole and shell) as well as natural yoghurt are a great added supplement to their diet. If you are changing from a dried food diet to raw dog food, I suggest start gently by choosing 1 protein – either tripe or chicken mince is a good starter – check their stools and if they look fine, introduce another protein – repeat this process every 1 or 2 weeks or so still checking stools, until he/she is receiving a balanced variety. It is quite common for a dog to have loose stools on the changeover, this usually only lasts a short while and things begin to firm up in no time. You will notice that on raw, your dog does not defecate as much as they did on dried or wet food, this is because most of the food is utilised and the waste product is less. Every bit of goodness is being processed and used by your dog – fantastic!